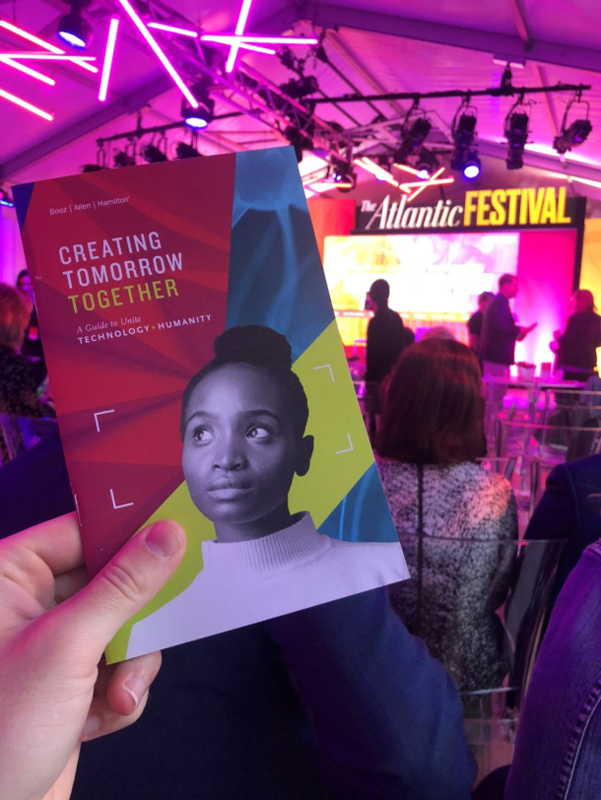 The Atlantic Festival convenes leaders in policy, law, education, business, nonprofit, government, and beyond, with this year’s theme exploring the intersection of technology, innovation, and policy. As an underwriting sponsor, Booz Allen is hosting its first-ever Booz Allen Innovation Zone, a street-festival style experience, featuring panel discussions, technology demonstrations, networking receptions, entertainment, and more. Booz Allen sponsored the opening session on Tuesday, Oct. 2, which brought together leaders from Congress, the FTC, the private sector, and technology groups for interactive discussions and big questions. What should U.S. privacy and data protection policy look like? How will it impact innovation? And how will everything change with the Internet of Things, artificial intelligence, 5G, and beyond? As technology brings us together in breathtaking new ways, Booz Allen helps clients find better solutions by uniting the right people, processes, and technology. Watch our experts live as we discuss how to create tomorrow together.